Alpha is a series of sessions exploring the Christian faith. Each talk looks at a different question around faith and is designed to create conversation. Alpha is run all around the globe, and everyone is welcome. It runs in cafés, churches, universities, homes—you name it. No two Alphas look the same, but generally they have three key things in common: food, a talk and good conversation. 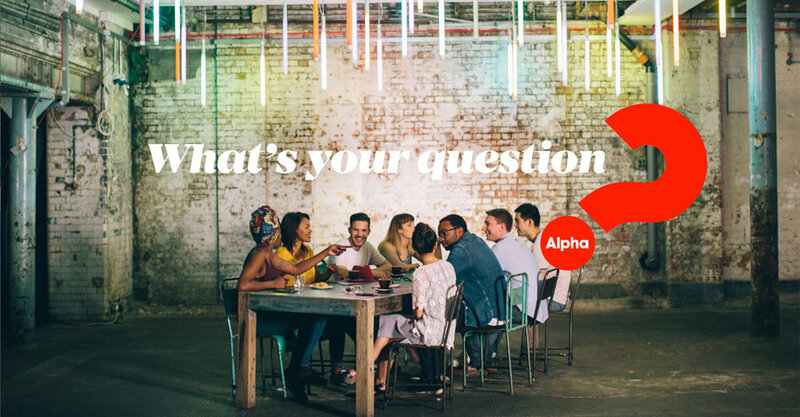 If you are interested in coming to Alpha, which starts on 7 February at 19:00, email Fiona. What is Alpha? Alpha is a series of interactive sessions that freely explore the basics of the Christian faith. Who is Alpha for? Alpha is for anyone who’s curious. The talks are designed to encourage conversation and explore the basics of the Christian faith in a friendly, open and informal environment. No question is out of bounds and you are free to discuss as much or as little as you wish. How does it work? Each session will include supper, a short talk and a discussion at the end where you can share your thoughts. At any point, if you think Alpha isn’t for you, that’s not a problem. There’s no pressure, no follow up and no charge. Topics include: Is there more to life than this? Who is Jesus? Why Did Jesus Die? How can I have faith? Why & How do I pray & read the Bible? Who is the Holy Spirit & what does the Holy Spirit do? Find out more: To find out more contact our Assistant Chaplain Fiona. to hear more about Alpha and how it has impacted other peoples lives visit the Alpha homepage.